Gilford is rich in historical heritage revealed in its cemeteries. As indicated in the map packet provided with each copy of "The Gunstock Parish: A History of Gilford, New Hampshire", there are many burial spots in the town of Gilford. The number of burial plots included in each site varies from one on up. 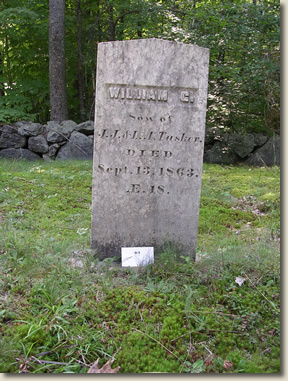 There is also a wide variety of types of gravestones found in Gilford's many cemeteries. Some plots are marked with small, plain stones, some with both head and foot stones, while others are marked with large, ornate ones, some naming family sites while others indicate the plots of individual members.